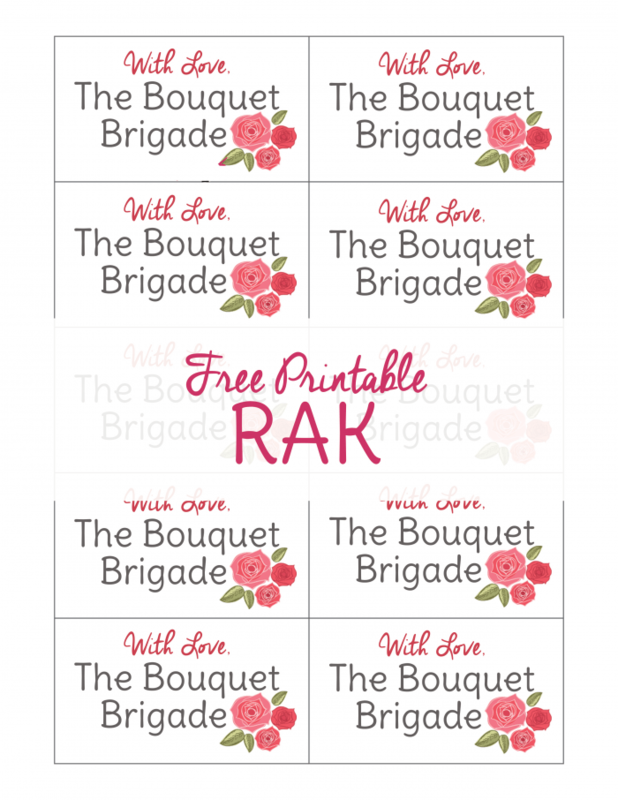 Random Acts of Kindness Printable: The Bouquet Brigade! Last year on February 15th, I stumbled into Kroger after dropping my kids off at school and discovered fresh bouquets on markdown randing from 49 cents up to $2.99! On a whim, I pretty much cleaned Kroger out and make impromptu deliveries to friends, family, neighbors, and caregivers like our dentist and doctor’s offices. If you still have bouquets left over, consider leaving flowers on graves at the cemetery. Pay your respects at the grave of a veteran or leave them at a grave so old that no one visits anymore. It’s a great reminder to practice gratitude for the gift of life! And who knows. You may brighten the day of a loved one who comes to visit. Ready to get started? Snag your free random acts of kindness printable below. Use this random acts of kindness printable to attach to bouquets. 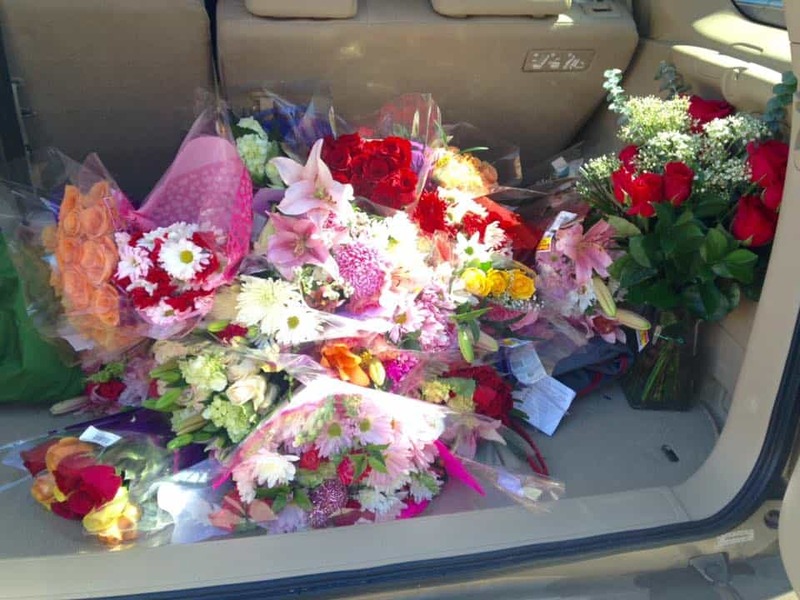 You can find flowers for dirt cheap the day after Valentine’s Day, Mother’s Day, etc and make a lot of people smile! Click the link or the image below for your free random acts of kindness printable. Go with a friend or your kids. It’s more fun! Bring a couple of 5-gallon buckets of water to keep flowers fresh. Optional: Bring a pair of scissors to cut the price tag off the plastic. I didn’t worry about it last year since I was solo and the deep discount was part of the whole story. This year I’ll have a partner who can cut prices off as we go along. Have fun being the flower fairy!